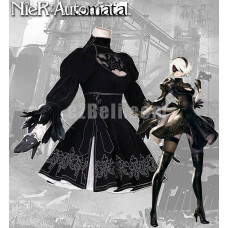 (Japanese: ニーア オートマタ Hepburn: Nīa Ōtomata, stylized as NieR:Automata) is an action role-playing video game developed by PlatinumGames and published by Square Enix for PlayStation 4 and Microsoft Windows. 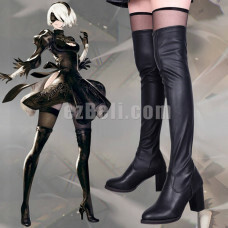 The game was released in Japan in February 2017, and worldwide the following month. 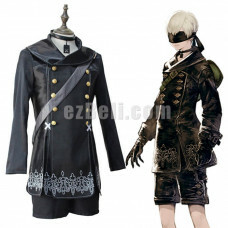 Include: Top, Short Pants, Neckwear, eye patch, Cosplay BagMaterial: Thick Satin Meas.. 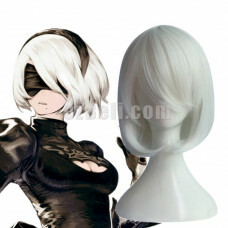 Include: Black dress, Headband, Eye patches, Black Long Stokings, Gloves, Feather Sleeves acces..
Can be used for casual wear, cosplay and for performanceMaterial : Good Quality PU Materia..
Color: WhiteLength: 35cmMaterial: High Temperature Heat Resistant Synthetic Fibre ( Freely Shape, He..